by Sharm | Feb 6, 2012 | Kansas City, Local Products, Local Restaurants, What You're Missing KC! 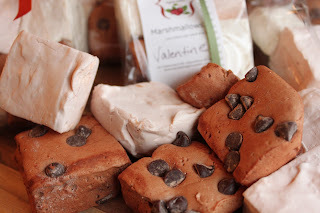 With Valentine ’s Day just around the corner, I have compiled a list of a few goodies you can find around town to make you day a sweet as can be. I would say he first thing that to come to mind when most people think about Valentine’s Day s is chocolate. Kansas City has quite a few choices when it comes to that cocoa confection starting with the ever-popular Christopher Elbow. Food and Wine magazine gave the #1 ranking of their top 10 Chocolates to Christopher Elbow for the No. 6 Dark. It features 61% dark chocolate blended with popping candy to create a unique, irresistible chocolate bar. I had the chance to tour his shop a while back and had no idea the detail that went into making these exquisite chocolates! Now I know why they taste so good. Some take 2, 3 or even more days to make. Elbows chocolates are of course available at his shop on McGee Street but some other locations around the metro include the Roasterie Café, Brookside Market, Foo’s Frozen Custard, Halls Department Store, Dean and Deluca and Cosentino’s Market. Elbow’s Chocolates are also available nationwide including his store in San Francisco. Here is a link to find all the locations his chocolates are available. Tues – Sat 10a.m. – 6p.m. Next is Amore Chocolate Pizza Company. Christopher and Annette Cook run this local shop. Annette is a former theater buff and would make these “break a leg” chocolate pizzas as gifts. 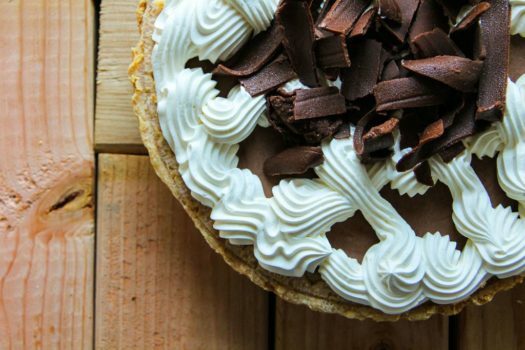 As popularity of them grew, Annette found herself taking orders for them and Amore Chocolate Pizza Company was born. 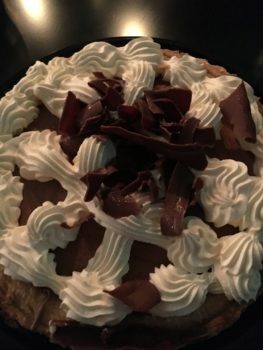 Located in Leawood in the Town Center shopping center, Amore Chocolate Pizza Company is also a dessert café and bakery offering a variety of chocolates, desserts, coffees and more. Certain nights feature live music and a fondue bar. Patric Chocolates have a variety of bars available to purchase including a bar he collaborated with Kansas City’s own Christopher Elbow. His bars are available at the Better Cheddar in Kansas City, various stores throughout St. Louis and online. 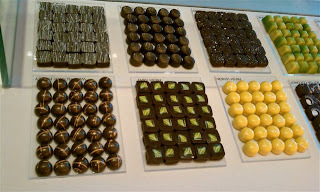 Visit Patric Chocolates.com for more information. If it is cakes or cookies you are looking for Kansas City has that covered too. Jude’s Rum Cakes are the creation of Chef and Caterer Craig Adcock who owns Belly Up BBQ. Named after his mother-in-law, Jude’s Rum Cakes are made with only the best quality ingredients. Whole eggs, real butter, Barbancourt Rum from Haiti, a local Rum from Tennessee and locally grown pecans from Missouri Northern Pecan Growers. Once the cakes are made, they are soaked in the rum for 24 hours in order for it to saturate through the cake. The result is a rich, moist, and fragrant cake. Order online or arrangements can be made for pick up and by calling 913.526.6708. 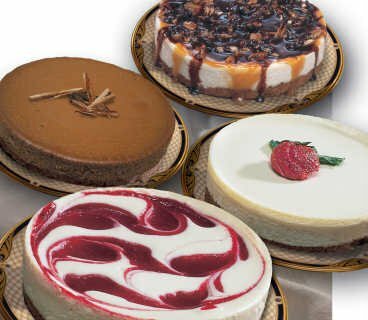 If Cheesecakes are your passion check out Cowtown Cheesecakes. Owner Chef Terry Mille has created a variety of flavors and uses local and seasonal ingredients when available. Some flavors include: Strawberry Shortcake, Pineapple Upside Down Cake, Key Lime, Lemon, Lemon Blueberry, Strawberry, Pumpkin, Fudge Swirl, Devils Food Cake, White Chocolate Raspberry and Kansas Cream. 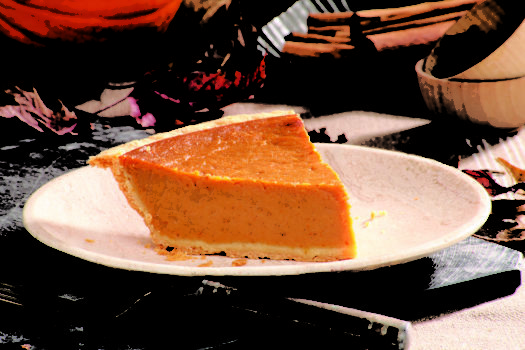 Visit CowTown Cheesecake’s website or contact Chef Terry at chefterry@cowtowncheesecake.com for more information on pricing and ordering. 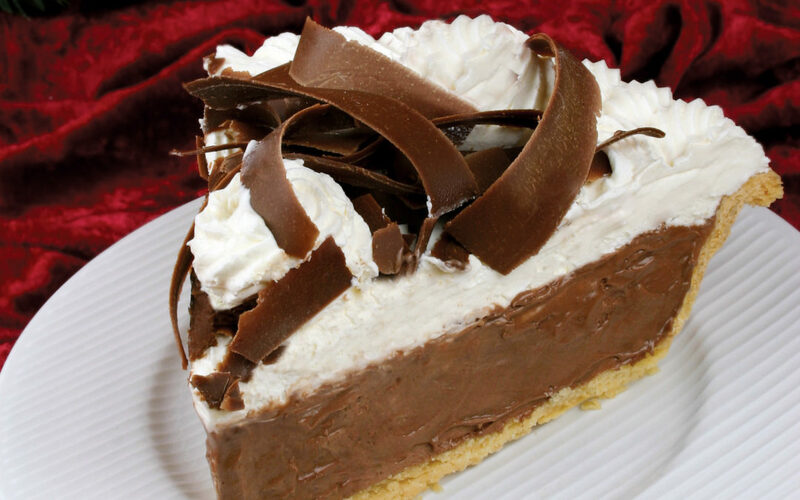 You can also find CowTown Cheesecake company on Facebook. For cookies and other treats such as handmade marshmallows,cake pops and more check out Everyday Organic Cookery. Owner Jamie Milks believes that eating healthy, organic food is something you can do everyday and that is why every thing she makes uses local and organic ingredients. Jamie is a genius when it comes to creating these treats and has spent hours testing and perfecting the recipes. 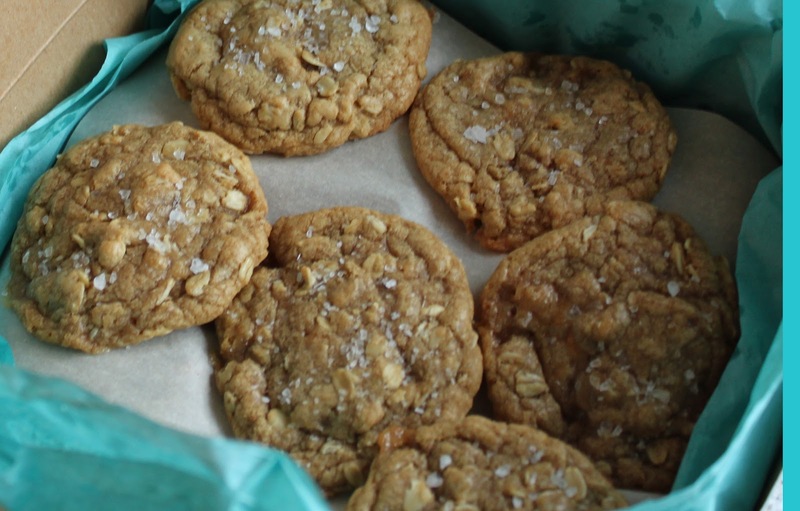 Her cookie dough flavors include: chocolate chip, salted caramel, honey lemon ginger and more. All items are gluten free and are absolutely delicious. Just for Valentines Day, Farm to Market Bread Company has created a Chocolate Cherry Bread. This Kansas City tradition is available for a limited time only, Feb. 8 through Valentine’s Day. 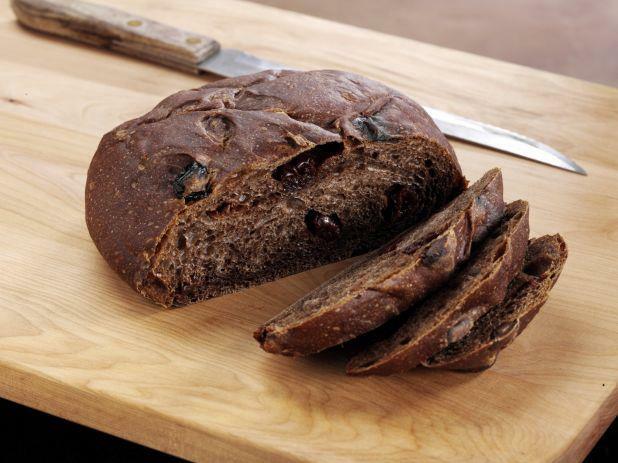 This bread is made with semi-sweet chocolate, Michigan-grown red tart dried cherries and 100 percent cocoa. Like all Farm to Market artisan breads, Chocolate Cherry is made with all-natural ingredients. This year, the recipe is being crafted into 14-ounce round loaves that make perfect gifts or treats for the office. Farm to Market Chocolate Cherry Bread retails at $5.99 per loaf and will be offered in select Kansas City-area stores from Feb. 8-14 including Cosentino’s Price Chopper’s, Marsh’s Sun Fresh, Westport, HyVee (77th &State Line Rd) Hen House (87th and Lackman), Corinth Hen House, Camelot Hen House, Prairie Village Hen House, Deer Creek Hen House (135th and Metcalf) and Fairway Hen House. Lawrence residents can find Chocolate Cherry Bread at Community Mercantile. Enjoy Valentines Day with your sweetie with one of these sweets! 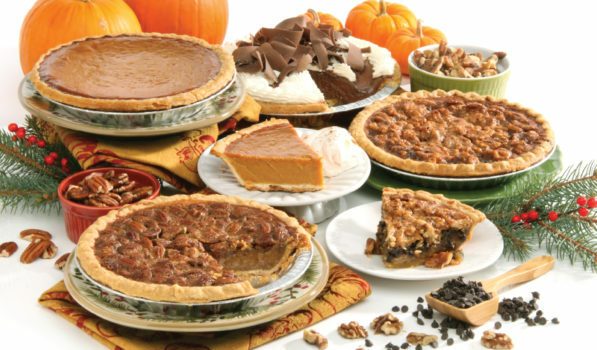 For a list of more local products savory and sweet check out the local products page. 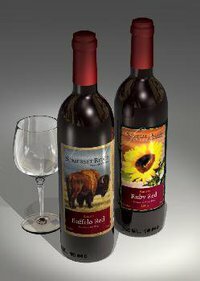 by Sharm | Nov 17, 2010 | Articles, Food & Drink, Kansas City, Local Products, What You're Missing KC! If you have had a Boulevard beer in the past 21 years, stop by your favorite drinking establishment on November 17th at 10pm, and raise a glass of Boulevard to toast their 21st Anniversary. On November 17, 1989, the first keg of Boulevard beer was sold to Ponak’s Mexican Kitchen just a few blocks from the brewery. Since then boulevard has added numerous beers to their line and is shipped nationwide. Boulevard beers are currently available throughout Missouri, Kansas, Nebraska, Iowa, Oklahoma, Arkansas, Minnesota, North Dakota, South Dakota, Wyoming, Colorado, and Texas, with partial distribution in Illinois, Indiana, Alabama, Utah, Idaho, Oregon, and Washington. The 21st Anniversary Fresh Hop Pale Ale is similar to the brewery’s signature pale ale, but kicked up a notch to celebrate its coming of age. Boulevard is passionate about beer and has many unique opportunities for those who are passionate as well. In addition to making exceptional beers, Boulevard offers public and private brewery tours, event space rental, beer-pairing dinners and a BrewMasters Luncheon, which is a collaboration between the brewery and a local restaurant. I have had the wonderful opportunity to attend both a private brewery tour and a Brewmasters Luncheon. The tours really give an in depth look at the beer making process as well as lots of fun facts on how some of the beers got their names and of course tasting, tasting, tasting! Did I mention tasting, because you will not go away thirsty! The Brewmasters Luncheon is held in the beautiful event space on the third floor. The view from this space is one of the best in the city. The Luncheon I attended featured Webster House and had wonderful dishes prepared by their chef Charles d’Ablaing. The first pairing was Amber Ale and a Chilean Sea Bass. The second was a seared duck breast and the Long Strange Triple and the last was a Bully Porter paired with an elk tenderloin. If you have not had the chance to go to a Brewmasters Luncheon, put it on your list. It is a really neat to experience meet Boulevards Brewmaster Steven Pauwels and learn about all the different beers as he explains them in relations to dish, and then of course tasting the way the flavors work together is the added bonus! For more information on brewery tours, Brewmasters Luncheons and other opportunities Boulevard offers visit the Boulevard website. And as always if you have a great food find in KC you think I am missing, email me.